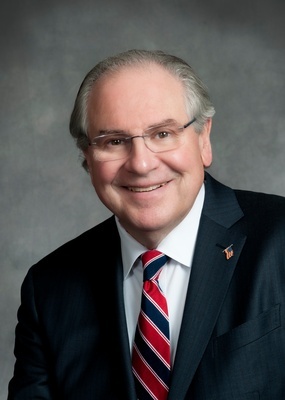 Join the Cambridge Chamber of Commerce for a Government Affairs breakfast featuring Massachusetts Speaker of the House of Representatives Robert DeLeo. This breakfast is being held at the Royal Sonesta Hotel from 7:30 A.M – 9:00 A.M on Tuesday March 26th. Networking: 7:30 – 8:00 A.M. Speaking Program: 8:00 – 9:00 A.M.
House Speaker Robert A. DeLeo (D-Winthrop) represents the Town of the Winthrop and a portion of the City of Revere. He has served in the Massachusetts House of Representatives since 1991 and became Speaker of the House on January 28, 2009. On Jan. 2, 2019, the House re-elected him as Speaker, his sixth term as Speaker. An award-winning legislator, Speaker DeLeo seeks to empower individuals, families and communities by focusing on legislation that keeps cities and towns safer and healthier, creates jobs, and increases educational opportunities. Under his leadership, the House passed nation-leading legislation relating to early education and care, fighting the opioid crisis, economic development, gun safety, veteran’s benefits, criminal justice reform, clean energy, and protecting civil rights for all. Speaker DeLeo is a graduate of Boston Latin School. He earned a Bachelor of Arts degree from Northeastern University and a Juris Doctorate from Suffolk University Law School. He received an honorary Doctorate of Laws degree from Suffolk University in 2009 and an honorary degree from Salem State University in 2012. A grandfather of two, Speaker DeLeo resides in Winthrop.